Every time you kick up your fireplace, another layer of soot and creosote flows through the firebox, chimney liner, smoke chamber, and damper. Over time this creates quite a mess, which is why your fireplace needs to be cleaned regularly. Burning wood creates creosote, which is actually a flammable substance. When this builds up without being cleaned your risk for a chimney fire greatly increases. 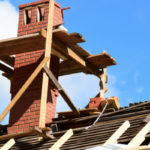 A chimney fire can easily spread to your roof, as well as other parts of your home. Depending on the wood that you burn, the amounts of creosote released will differ. Pinewood, for instance, creates a lot of creosote quickly. No matter what type of wood you burn, your chimney needs to be cleaned regularly. Here we detail how to clean your chimney, plus how often this important task should be conducted. Cleaning your chimney requires a bit of a process. Here are 6 steps you must follow for a successful chimney sweep. Cleaning a chimney can be done using a number of methods, but you will always start by looking your chimney over. 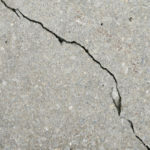 Use a flashlight to peek inside to see how thick the build up of creosote and soot appears to be. While inspecting your chimney you also want to look for any signs of animals or rodents that may have built a nest near the top. You must take the proper steps to remove the animal and nest before cleaning your fireplace. Calling your local wild animal relief agency can help! Different sized tools are available depending on the measurements of your chimney flue. Flues are either round, or square, and come in two sizes, 6” and 8”. Next you need to know how tall your chimney is, in this case it’s better to overestimate than underestimate. You need this measurement in order to determine how much rope or piping is necessary to clean out the entire length of the chimney. Once you have your measurements in hand, you’ll need to purchase all of the tools necessary to conduct the job. This includes a chimney brush, extension pipes, stiff and small wire brush, tarp, broom, dustpan, dust mask, and goggles. 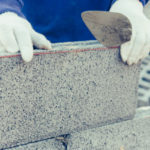 Before starting the job you want to make sure that you are properly protected against the dust and debris that you will undoubtedly come into contact with. You want to wear something old that you don’t mind getting dirty. You also want to wear gloves, goggles, a dust mask, and a bandana to cover your hair. Make sure that anything near your fireplace is properly covered so that it will not get dirty from the soot and debris that will fall down through the fireplace. Covering the carpets, and removing any pricey rugs will prevent interior items from being ruined. 6. At Last, It’s Time To Clean Your Chimney! Now that you are properly dressed, and have all the right supplies, it’s time to clean your chimney. You can clean your chimney from the top down, or the bottom up. 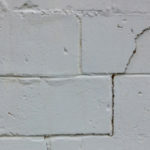 Either way, your first step is to remove and clean the damper handle, located just inside of your chimney near the top. Detach the damper from the chimney flu and use your small wire brush to clean it off. You will then want to set this aside so that it is not in the way when you clean the entire chimney. Next, you will assemble your brush and piping so that you can reach all the way up, or down, the chimney walls, scrubbing each inch along the way. No matter which method you use, the firebox will become full of soot and debris during the process. At the end, you will need to clean this up using your broom and dustpan. Don’t pour debris down the sink, or dispose of them in your everyday trashcan. Instead, make sure that you get rid of your soot and creosote in a way that matches your local laws. 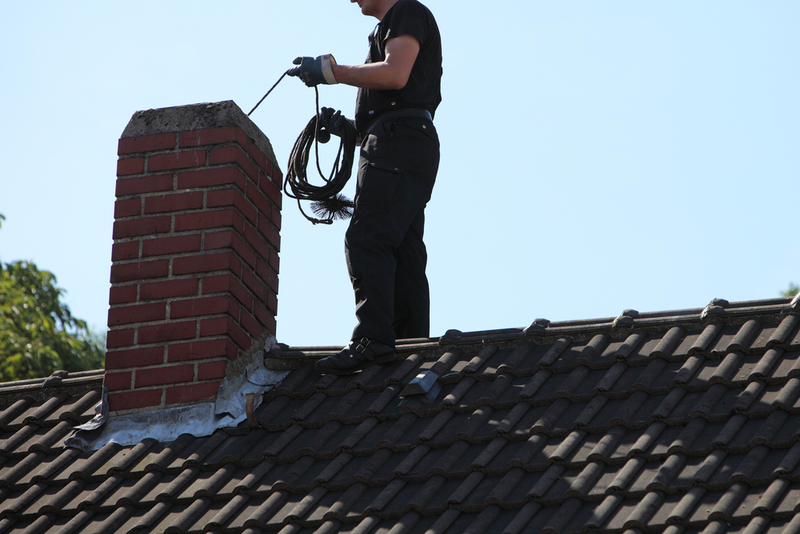 If you use your chimney on a regular basis you should have your chimney cleaned and checked out about once a year. According to the Chimney Safety Institute, your chimney needs to be cleaned as soon as 1/8 of an inch of sooty buildup occurs. The best time to have your chimney cleaned is during the summer or early fall, before you use it again. It has been over one year since your last chimney inspection. If you have just purchased a home with a used chimney. If you notice something unusual about your fireplace efficiency, smell, or anything else. No one knows chimneys like Turnbull Masonry; contact us today to keep your home and family safe this winter.